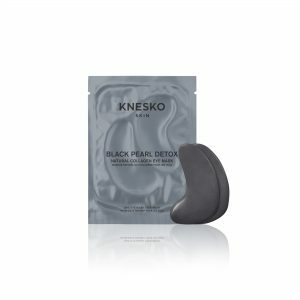 Harness your internal beauty and project positivity with the Black Pearl Detox Collection of natural collagen hydrogel masks by KNESKO. Each mask in the line is made utilizing our very own GEMCLINICAL™ technology, a unique and powerful combination of nature’s most powerful skincare ingredients, infused with precious pearl, activated bamboo charcoal, and charged with healing Reiki energy. Our Black Pearl Detox skincare line helps to detoxify, purify, and balance your skin from the inside out. Pearls are associated with emotional balance and help to improve self-confidence while activated bamboo charcoal draws out toxic buildup of chemicals, bacteria, and oil from deep within the skin. Other active ingredients work to minimize pores, increase hydration, reduce inflammation, and exfoliate the skin’s outermost layers to reveal a more youthful glow. 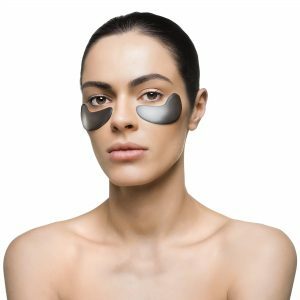 Brimming with powerful black pearl powder and Mother Nature’s most healing skincare gifts such as anti-bacterial tea tree leaf oil, bamboo charcoal and coffee seed extract, each of our doctor-formulated, cruelty-free hydrogel masks are designed as a one-way delivery system of age-defying nutrients. Bathe your skin in black pearl’s naturally occurring calcium and amino acids to encourage more radiance and renewed elasticity. Add our masks into your regular skincare routine for long-term results, or use as needed for a quick-detoxifying infusion of black pearl skin benefits. Our black pearl collagen masks are charged with healing Reiki energy to help you unlock your Root Chakra and release your inner strength. Black pearls, long associated with prosperity and power, have been used in self-care rituals since the ancient Tang Dynasty emperors. Ground yourself, balance your mind, and reveal yourself in your purest form. 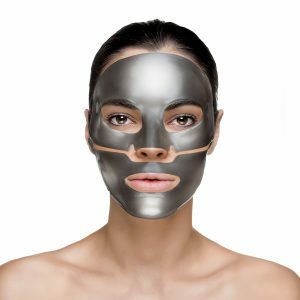 Learn more about the benefits of charcoal masks here. Our black pearl detox face masks are results-driven and created to combat signs of aging that exist both above and below the surface of the skin. Put your best face forward with these transformative detox masks that help reduce inflammation, minimize pores, smooth lines, and increase hydration. Black pearl is connected with self-confidence. As your thirsty skin drinks in this powerful mineral, your energy field flushes out negativity to make room for self-love you can actually see on your face. Let lustrous light shine from your eyes with our black pearl eye mask treatments. 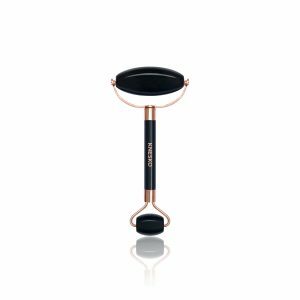 Apply our innovative, ophthalmologist-approved hydrogel pads for a deep infusion of detox serum to the delicate area around the eyes. As the collagen replenishes your skin, the black pearl powder rouses your soul for total self-renewal. KNESKO skincare is a beautiful marriage of science and spirituality that works to relax your mind, rebalance your spirit, and rejuvenate your skin. Choose light and self-love with our Black Pearl Detox masks, charged with healing Reiki energy, and designed for overall wellness and youthful beauty. 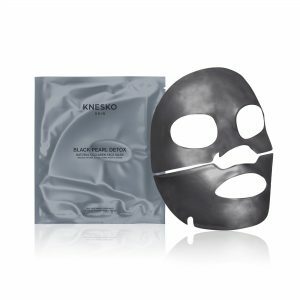 Our Black Pearl masks come in convenient single treatment packets, multi-pack bundles, and travel sets. 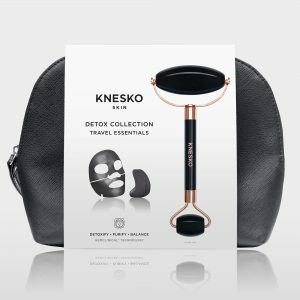 Enjoy results-driven skincare at its best with the Black Pearl Detox Collection from KNESKO.